I started working in a large commercial dental lab while I was a senior in high school. I like to say that I learned dental technology the old fashioned way…..from the ground up. After four years of training, I started working in a small cosmetic and implant driven office as their in-house dental tech. This is where I discovered how much I enjoyed working closely with the doctors and patients. 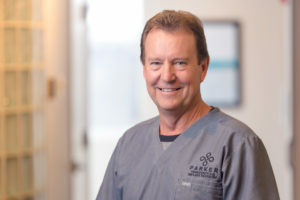 I look forward to bringing my 40 years of experience to Dr. Parker’s office and being a part of his excellent team who plays a role in improving our patients’ quality of life. My other love is my wife, family and the great outdoors.